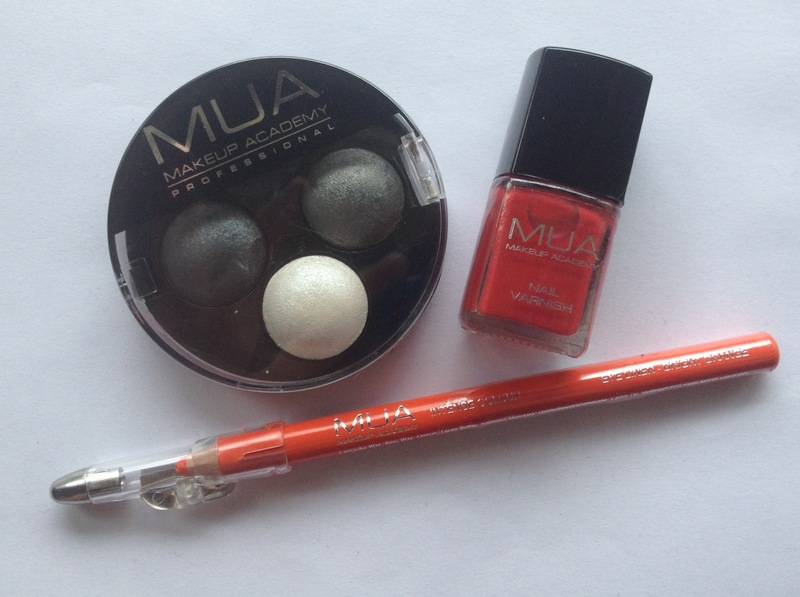 First up here are the 3 gift products they were giving away. First up is their trio eyeshadow in Smoke Screen. 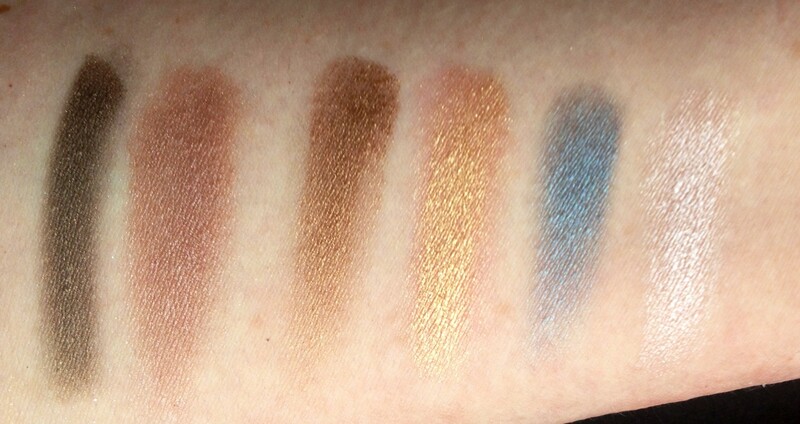 These three shimmery shades are rather gorgeous and very pigmented. I don’t often do extreme eye looks but I’m looking forward to trying this combo on a night out. Second was one of their 1 pound nail polishes in shade 8 which is a rather nice pink-toned red. I haven’t tried this yet so not sure what the quality is like. Last up in the gifts is an eyeliner (not a lip-liner like I first thought) in the shade Bright Orange. This is so smooth and pigmented! I was pretty surprised. Now I just have to figure out how to use it in an eye look…I don’t normally rock orange liner but this is such a nice product I feel I have to try! So the first two products I chose were a blush and a bronzer (I actually have never owned a bronzer, weird right?). The blush was £1 and is a small size but a gorgeous pink colour with some peachy undertones that I was looking for coming into summer.There’s a bit of fallout when I apply this and its not hugely pigmented but I love the colour and for me a subtle and buildable blush is better than a highly pigmented one purely due to lack in application skills haha. 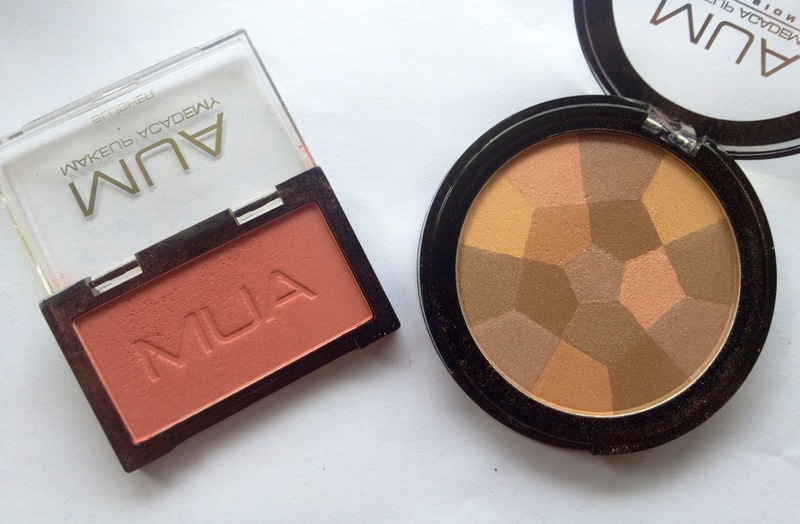 The Mosaic bronzer (£2.50) is in the shade Natural Glow and has a mix of pink, brown, taupe and gold shades that blend to create a nice subtle bronzer that luckily works well on my skin tone. Keen to start using this to bronze up a little over the summer. I have never tried gel eyeliner before so decided to grab one of theirs for £3 in the shade On The Move. Seriously, this colour is gorgeous! A stunning rich brown with copper shimmer throughout it. Seems really pigmented but I haven’t tried this for a whole day so unsure as to how well it will last. Comes with a little brush tucked away in the lid. 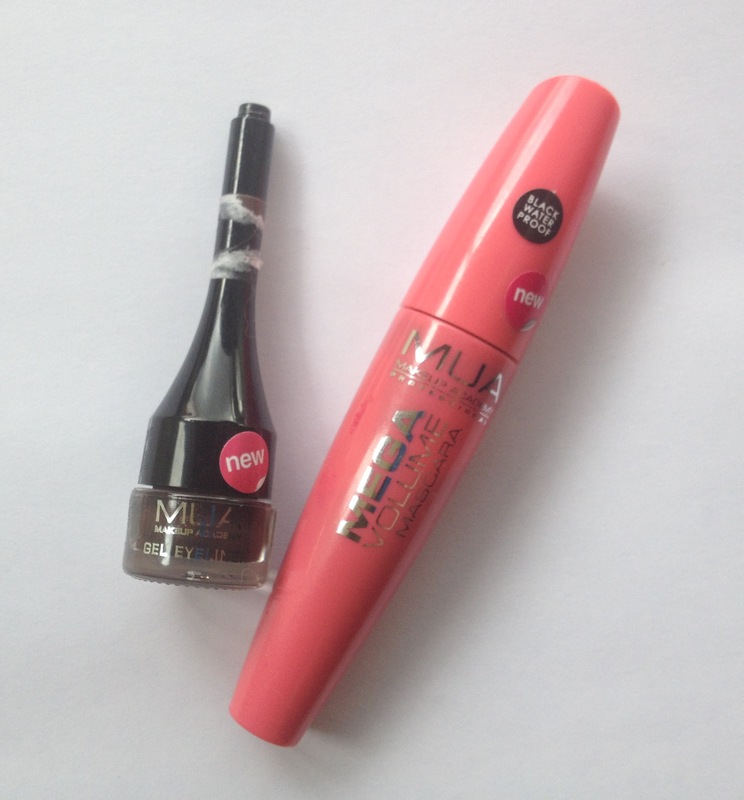 The mascaras on MUA are £3 and I was interested in giving one a go so decided on the Mega Volume Mascara (waterproof). I’ve used this a couple of times and I like it a lot but it’s not mega volumising on my lashes. For me it gives my lashes really nice definition with little clumping and provides a little bit of extra length and volume but not to any dramatic extent which is kind of what I was hoping for. Definitely still a mascara i’ll use up quite happily but could have done a bit more volume wise. Last up for the eyes is probably the product I was most excited to try. 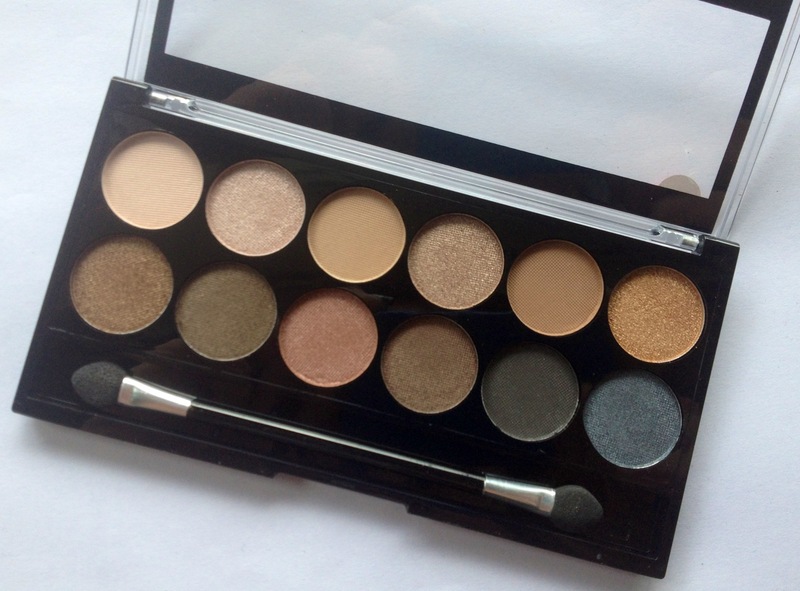 This is the undressed eye shadow palette which is a teeny £4 for 12 amazing neutral shades! This palette contains quite a few close dupes for some of the Naked shades with the shimmers being amazingly close from what I can tell but the matte shades are definitely less pigmented despite being lovely colours. I love the variety of shades in here with a dark metallic navy, a rich golden shimmer to pale pinks and champagnes. Absolutely stunning! 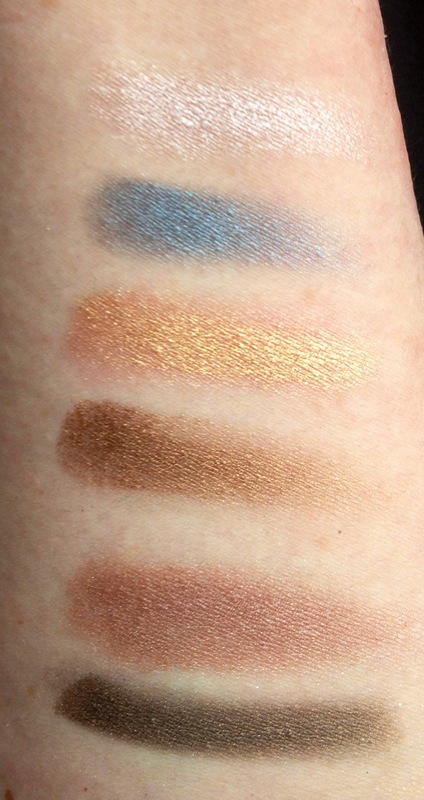 Below are some swatches of some of my favorites on the palette but you can also see a great review here. 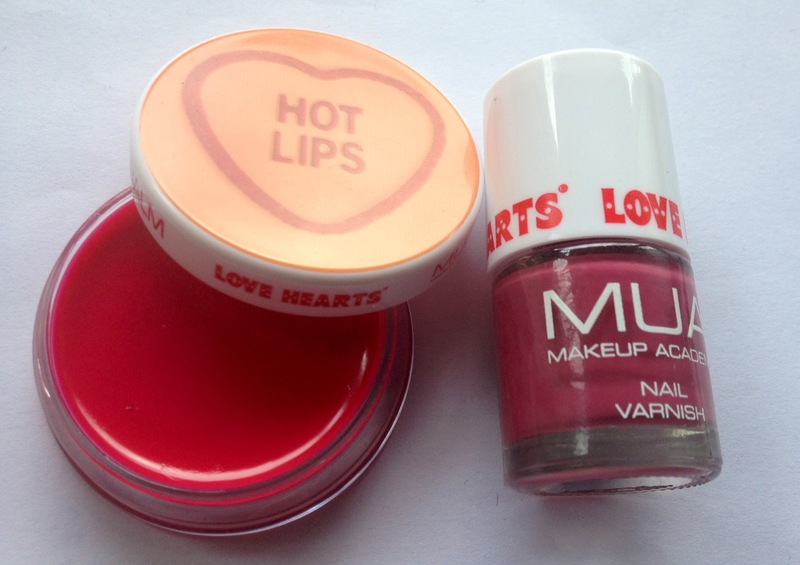 Next are two of the products I chose from their Love Hearts range which I thought was such a cute concept! I grabbed one of their tinted lip balms in Hot Lips which is a stunning hot pink that gives a pink flush to my lips that looks pretty natural. Not hugely moisturizing but cute right? The nail polish I chose after putting every single on into my basket was UR FAB which is a warm pink colour. Not sure how to describe it but pretty close to the photo really. These were £2 each. Okay up to my last products finally! These are my favorites in tie with the undressed palette. These two lipsticks were £1 each. I expected rather little for such a tiny price tag but I seriously adore both of these. 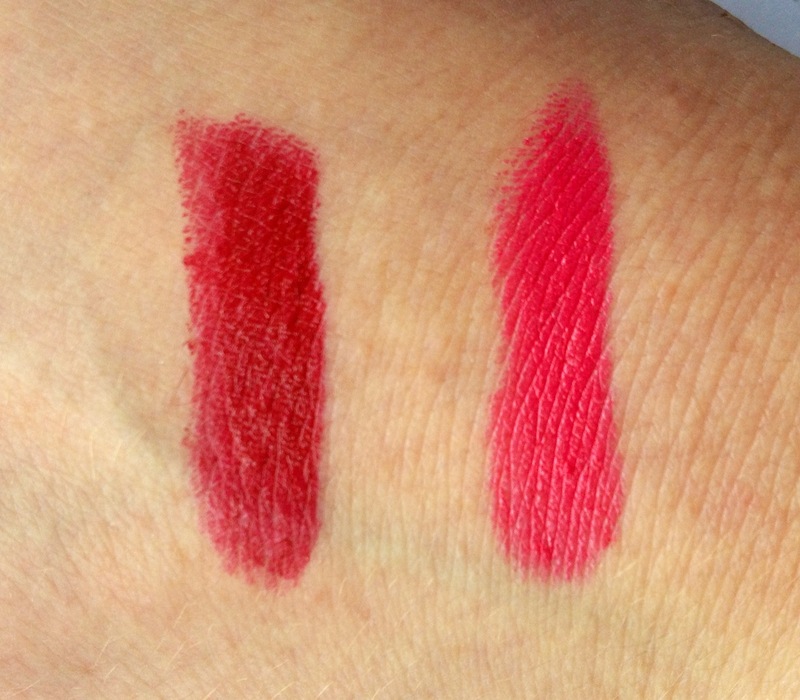 Shade 1 is the rich red which has a bit of a pink tone to it once on my lips and shade 3 is a gorgeous hot pink that is almost neon. These aren’t drying, are hugely pigmented and last a decent time on my lips without much bleeding into the lines around my lips. Tempted to get all 16 of these lipsticks for such a small price but I’ll resist for the moment haha! Well there is my pretty extensive “haul” from MUA and there’s so much I love and not much I don’t so overall I was pretty pleased! In NZD this came to around $50 including the shipping so not too bad considering the huge amount of products I got. In England MUA is known as a pretty amazing brand but I think people overseas and here in NZ/Australia should definitely look into their products especially some of their eyeshadow palettes and their lipsticks. No more shopping for me that’s for sure! 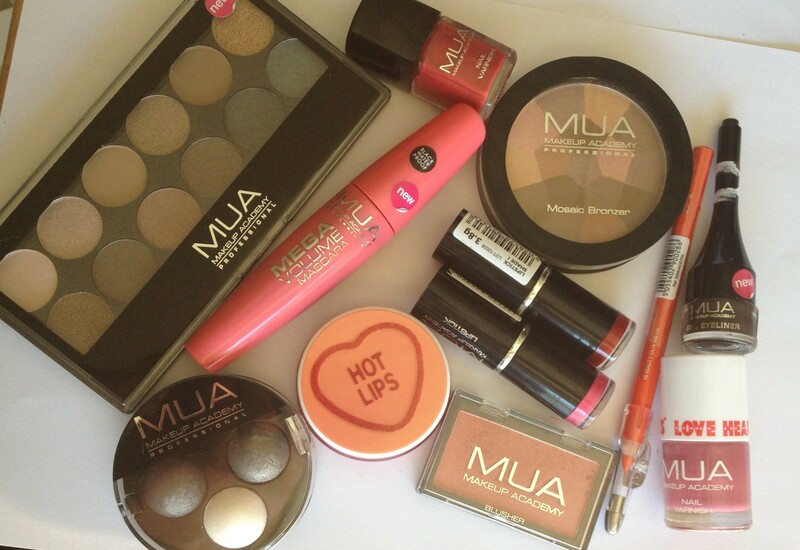 I love MUA, but I have so many things I just need to use up before buying more. 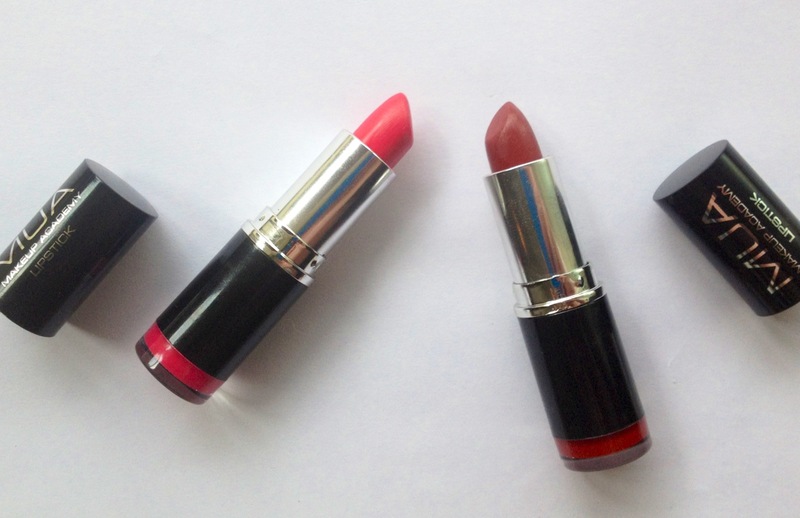 I love the lipsticks so I might get a couple as a treat for myself for Christmas. I hope you like the Undressed palette, I don’t have the naked palette – I see no reason for needing one now I have the Undressed. Enjoy your lovely new makeup.